As the countdown clock ticked away, Eddie, Isaac, and Rameez huddled with their team and executed the game plan. Defense was critical. Instead of blocking a pass or defending a goal, the team used their savvy cyber skills to build a computer network and protect it against simulated cyberattacks. There were no bleachers full of cheering fans or loud music. Instead, teams at the National CyberPatriots Competition quietly huddled with their laptops and quickly typed strings of code. The promising students from Alamo Academies spent months training and competing on the road to nationals. The team placed first at the state competition and second in the Southwest Region out of 2,200 teams. They ranked seventh nationwide and qualified to compete against the top 12 teams at nationals. Alamo Academies has sent teams to nationals six out of the past seven years. 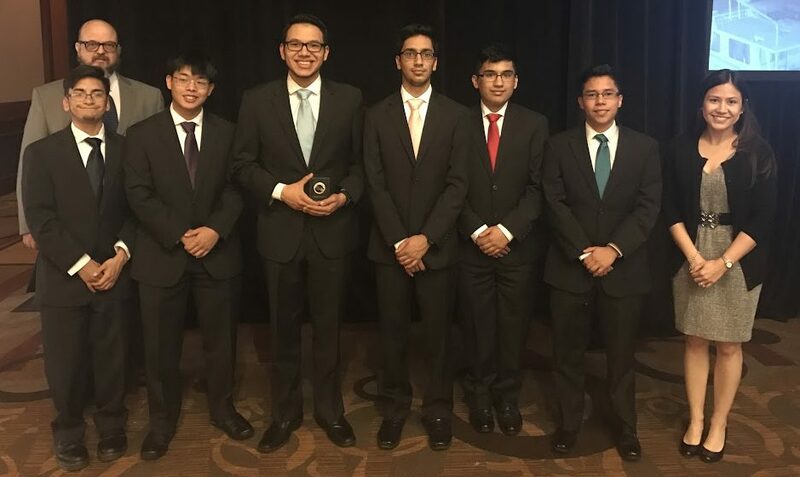 Last month, the team won the Mayor’s Annual Cyber Cup. 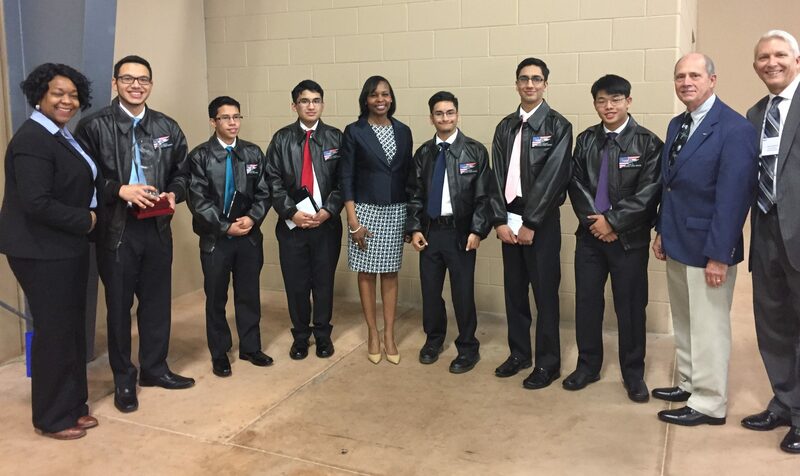 President & CEO Paula Gold-Williams (left) and San Antonio Mayor Ivy Taylor (middle) celebrate with the team and Alamo Academies at the Mayor’s Annual Cyber Cup. What made them so successful? 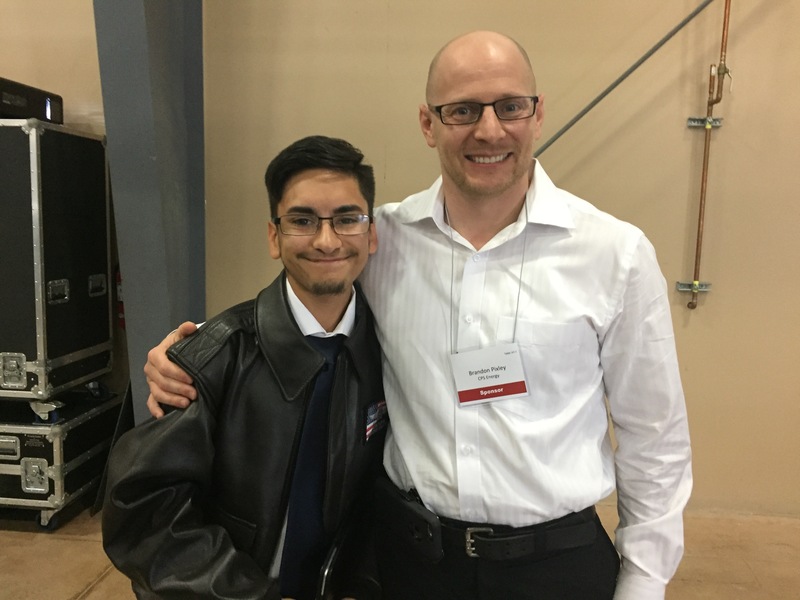 Eddie Flores, Isaac Knotts, and Rameez Shaukat trained with San Antonio College professors and had a lot of support from Alamo Academies. They say the knowledge and experience they gained in our SITE internship program also gave them a competitive edge. Eddie Flores celebrates with his mentor Brandon Pixley, Infrastructure Security Manager. During the summer, Isaac worked with our EDS Asset Management team on a new database project while Eddie and Rameez enhanced their technical skills working with our Enterprise Information Technology team. Isaac, the team’s captain, originally joined the team with little expectation of winning. Alyssa Trevino, team coach and program coordinator at Alamo Academies, says she’s proud to see how much the students have grown. 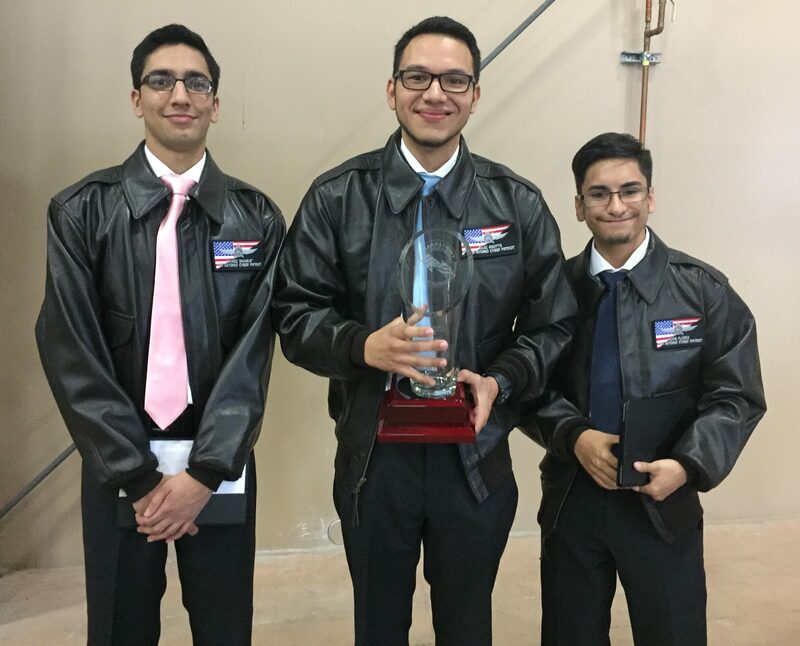 Rameez, Isaac, and Eddie (left to right) gained a lot of technical experience during their internships last summer that prepared them for competition. Trevino said the team made some errors during the state competition that put them in jeopardy. However, the team found the resolve to push through to the regional competition. The team gathers for the final banquet at the National CyberPatriot Competition. The team spent months practicing and competing. After three intense days of competition, the team learned they didn’t win at nationals. Although disappointed, the students acknowledge they’ve grown a lot along the way. Just making it to nationals says a lot about what they can do.